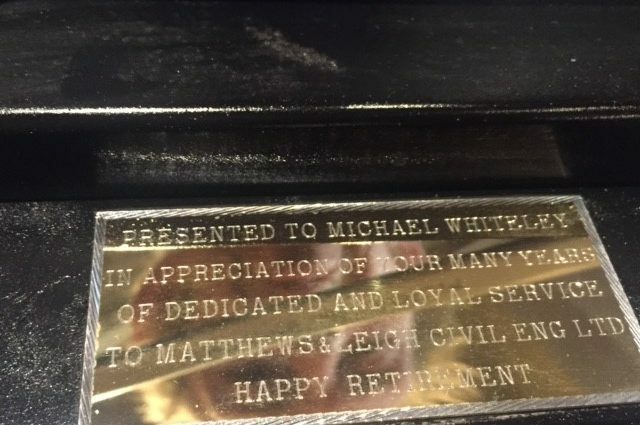 It is with a heavy heart that the Management and staff at Matthews & Leigh bid a very fond farewell to Plant Fitter, Mike Whiteley who has decided to take retirement. Mike worked tirelessly for the company for over 7 years and was presented with a commemorative plaque by Ian and Andy Leigh, Managing Directors, for all of his hard work and dedication over the years during a farewell lunch. Mike will be sorely missed and all of the team wish him a very happy retirement.